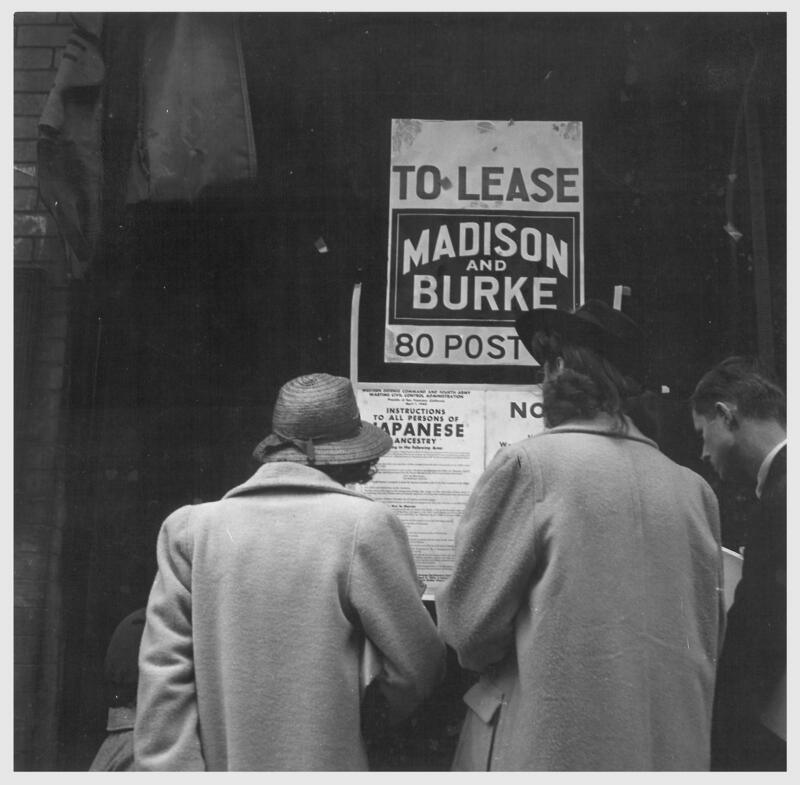 Following evacuation orders, this store, at 13th and Franklin Streets, was closed. 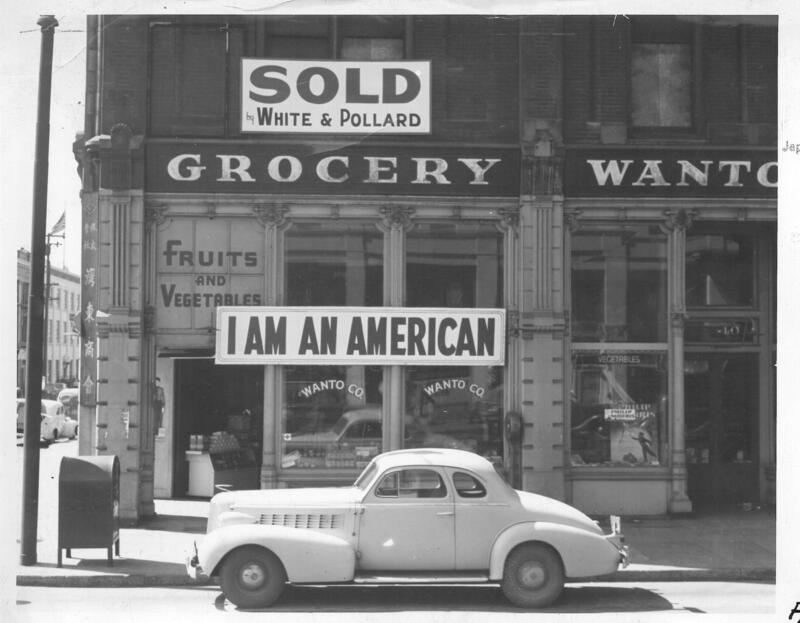 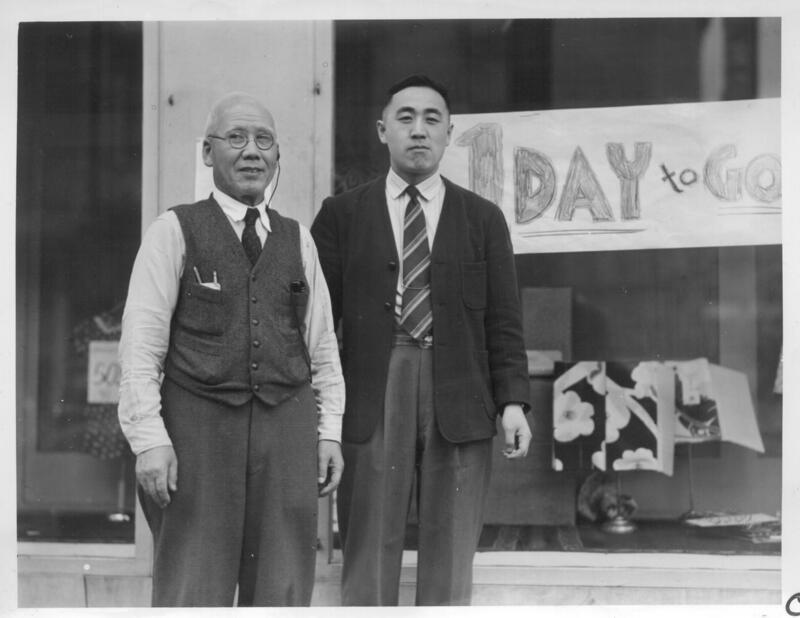 The owner, a University of California graduate of Japanese descent, placed the I AM AN AMERICAN sign on the store front on December 8, the day after Pearl Harbor. 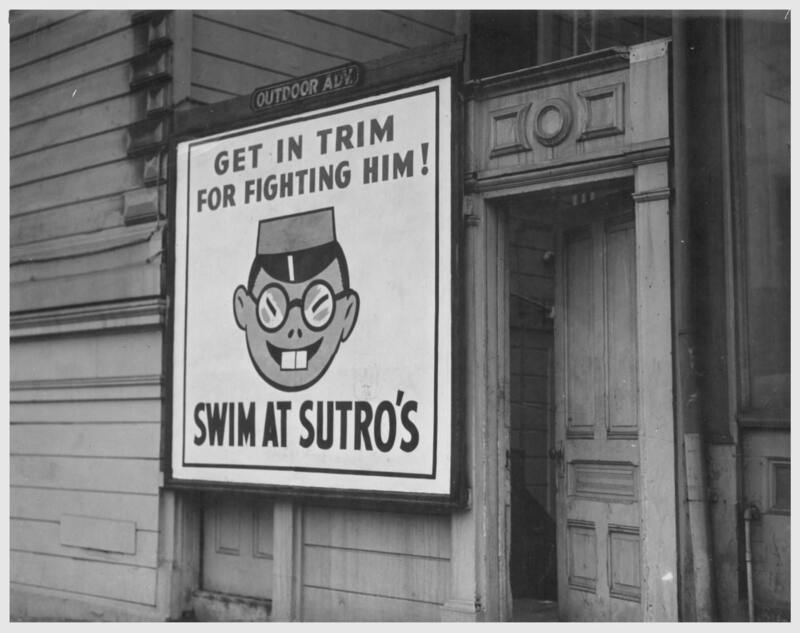 As evacuation of residents of Japanese ancestry progressed in April 1942, this sign (above), advertising a swimming pool, was posted in many San Francisco districts. 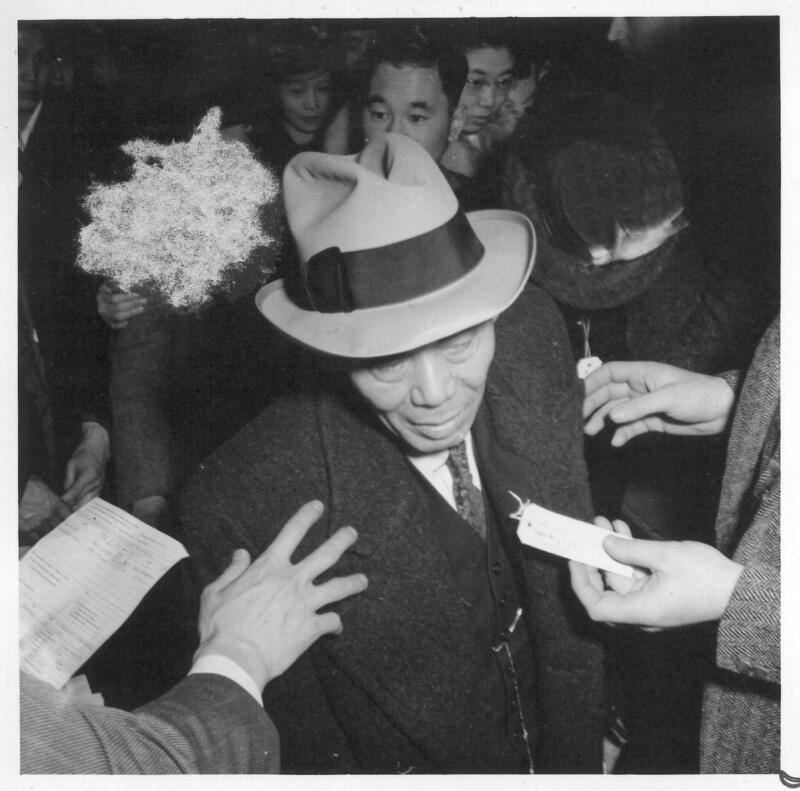 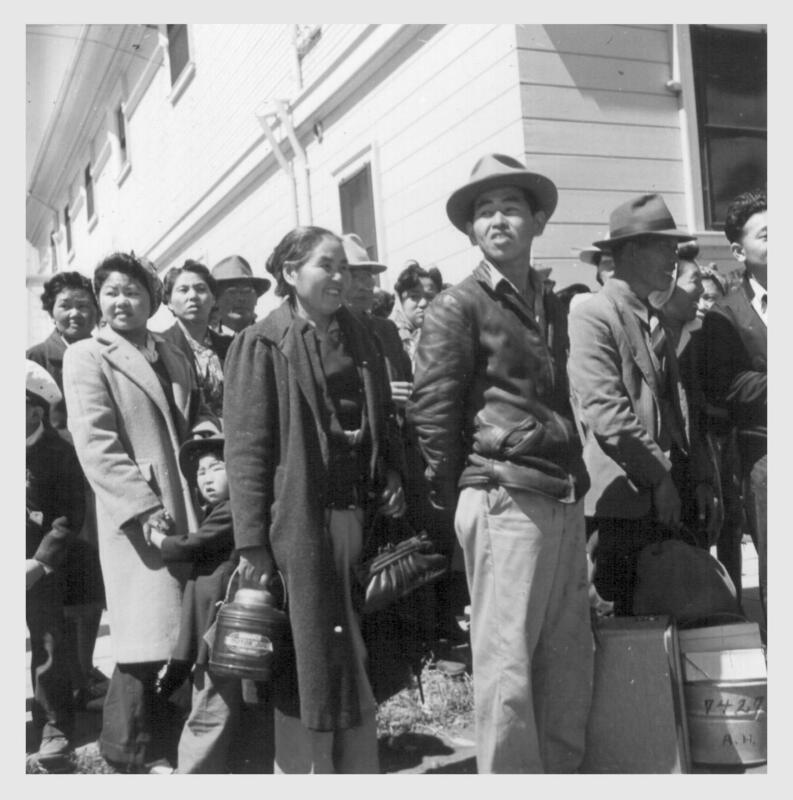 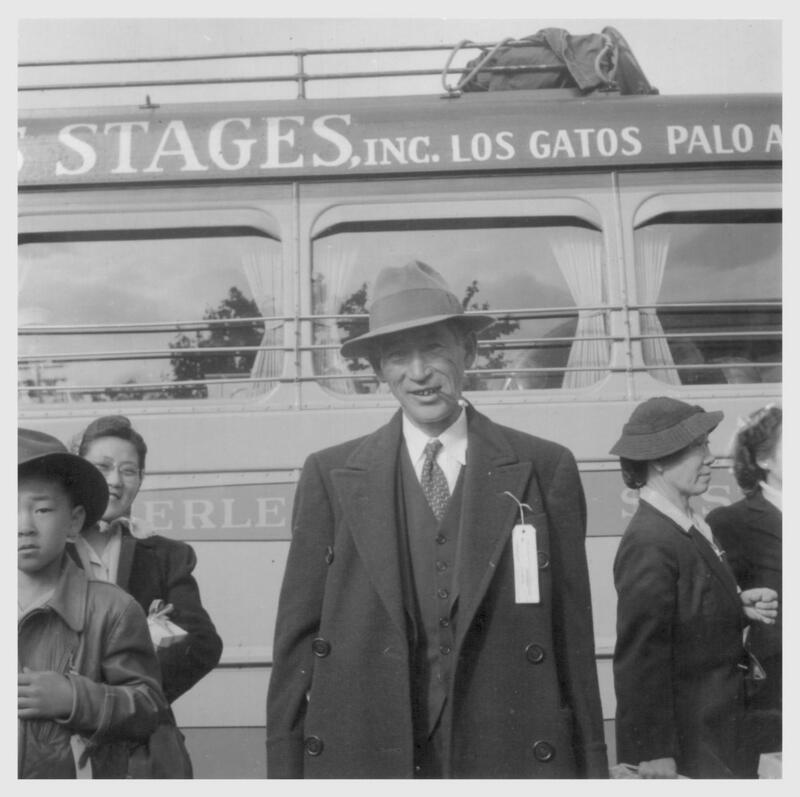 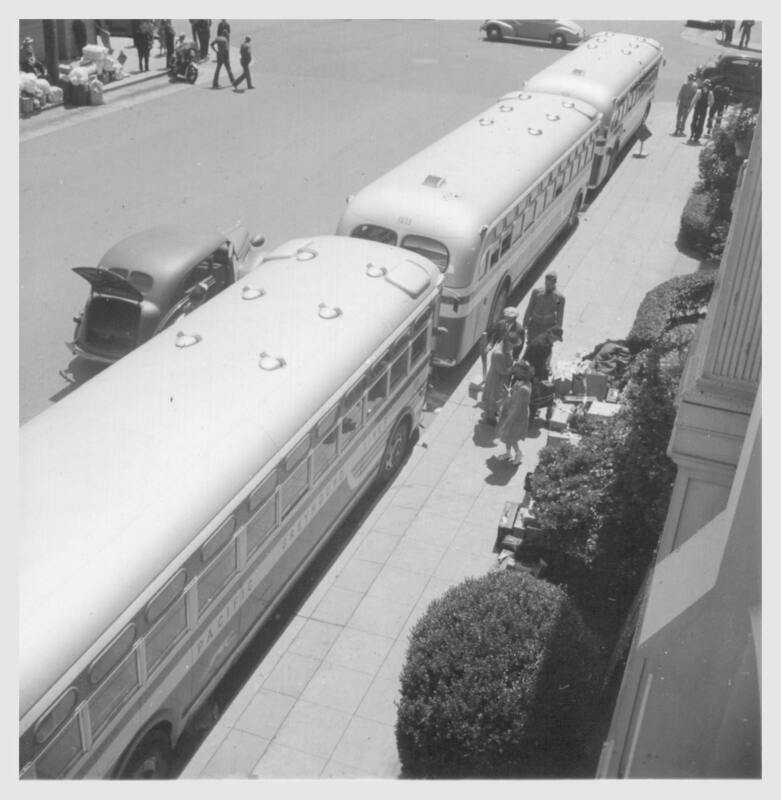 Exclusion Order posted at First and Front Streets directing removal of persons of Japanese ancestry from the first San Francisco section to be affected by evacuation. 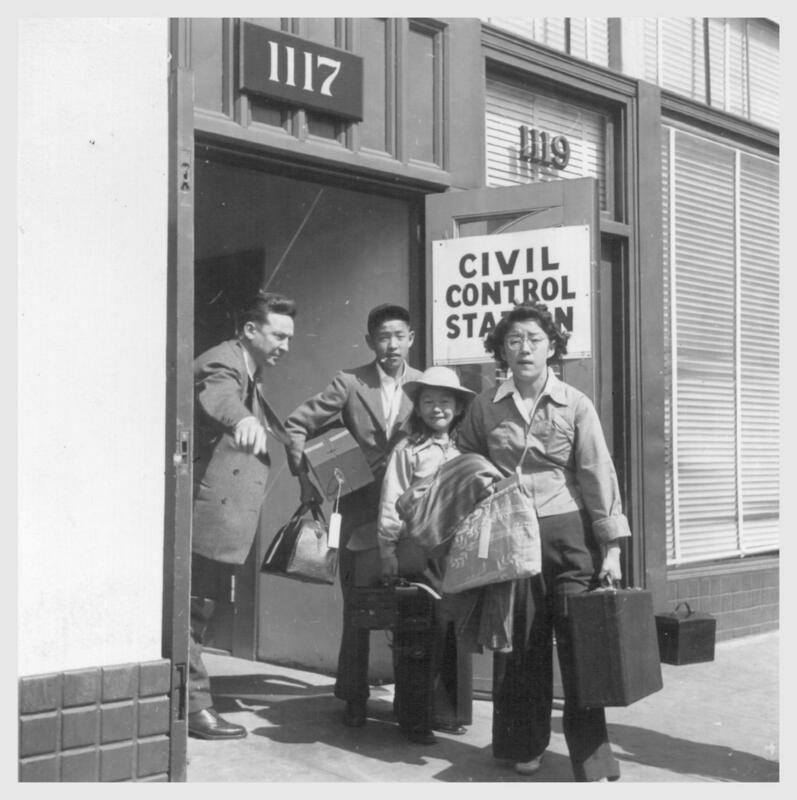 San Francisco, 1942. 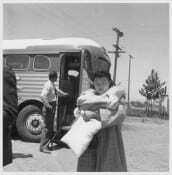 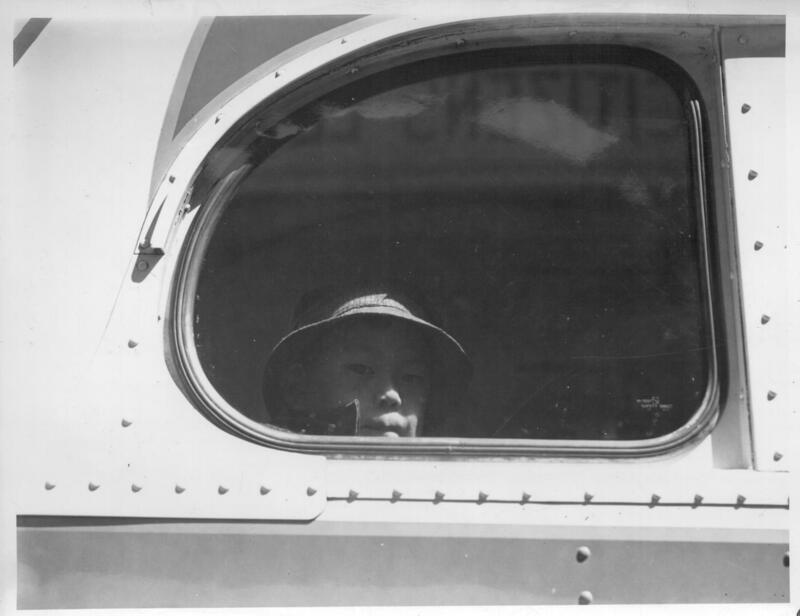 A young evacuee looks out the window of evacuation bus before it starts for Tanforan assembly center. 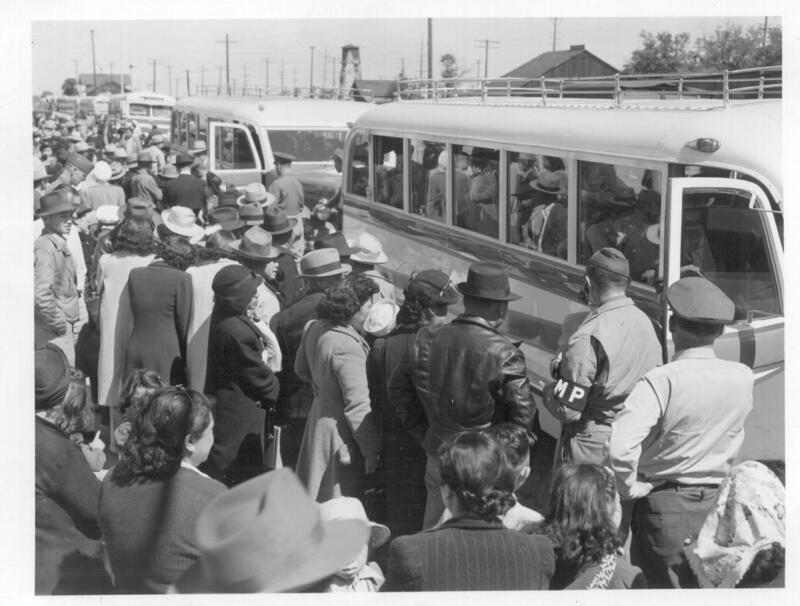 Hayward, CA, 1942. 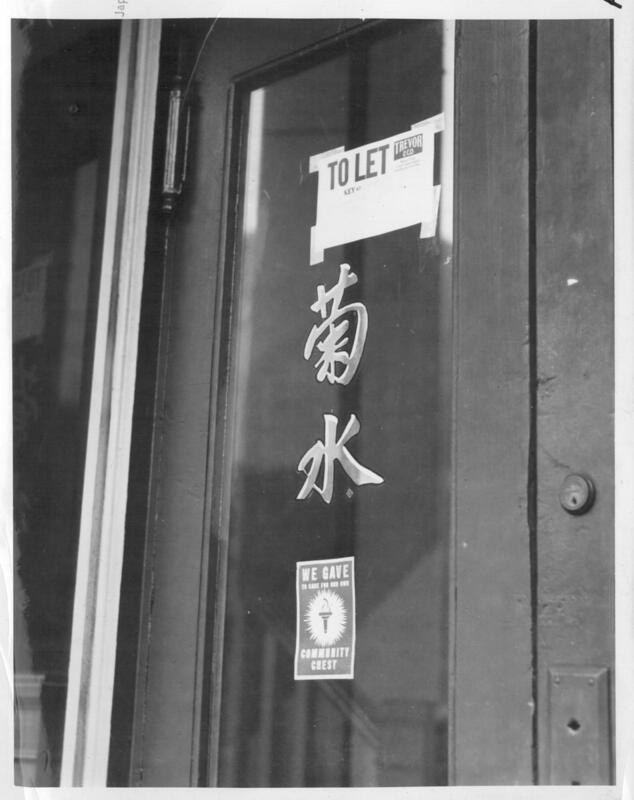 Entrance to a restaurant vacated by a proprietor of Japanese descent prior to evacuation. 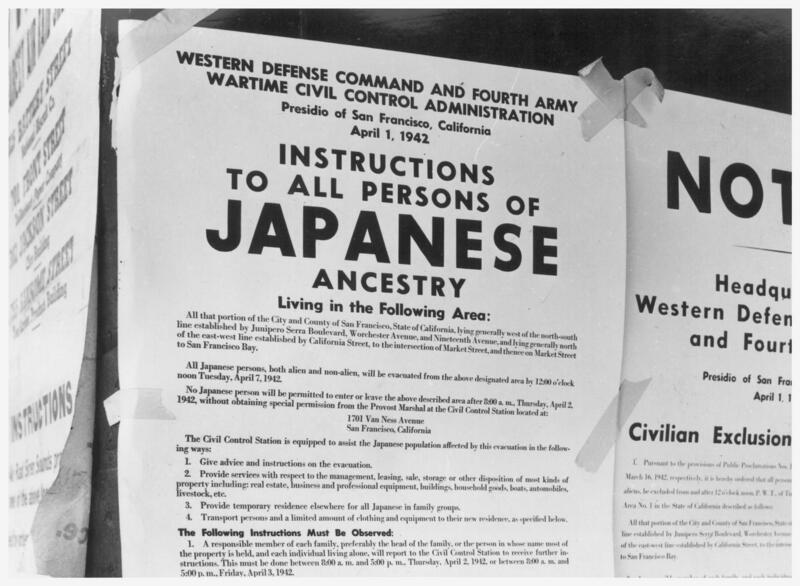 In 1942, shortly after the U.S. entered World War II, President Roosevelt issued Executive order 9066, which declared areas of the country military zones. 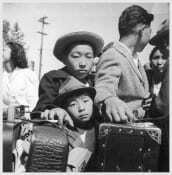 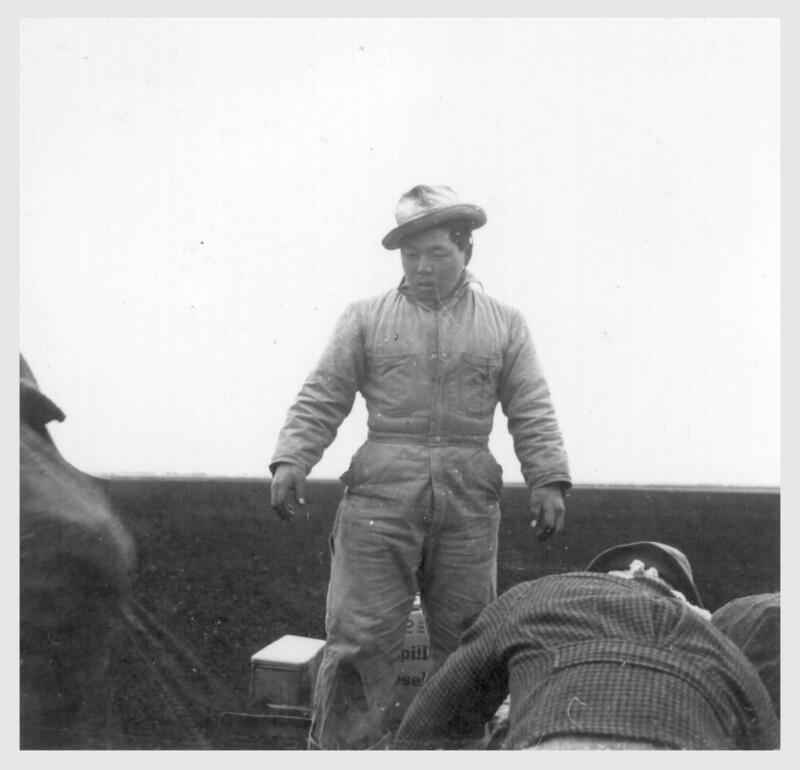 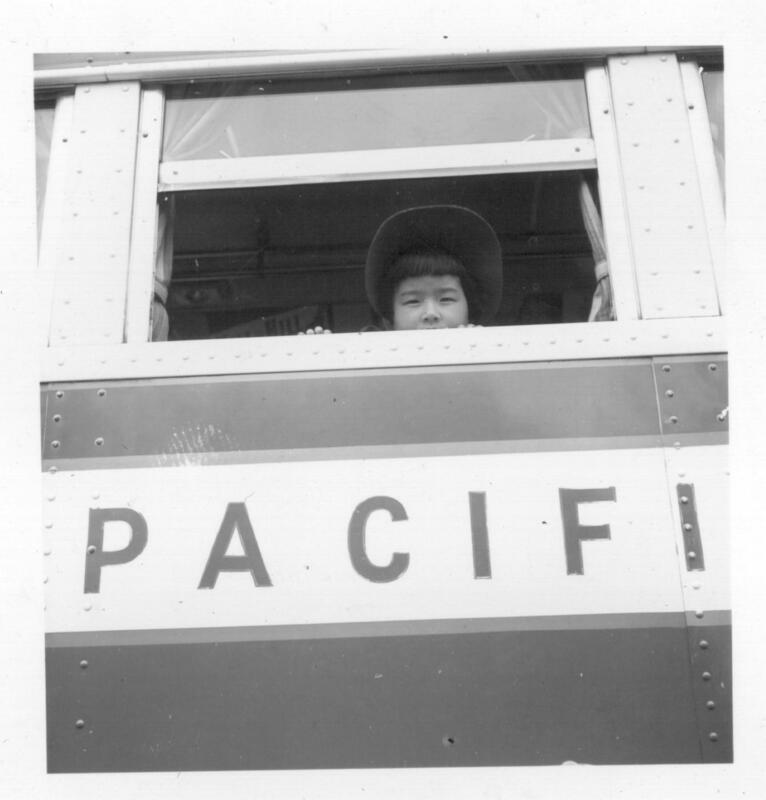 This led to the forced relocation of Japanese-Americans to internment camps. 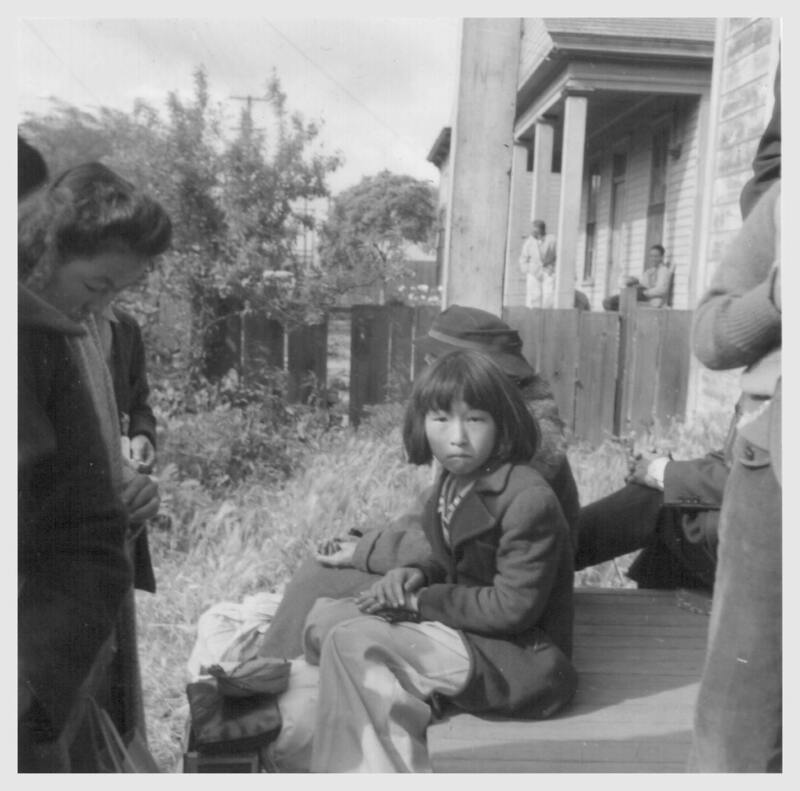 The U.S. War Relocation Authority hired photographer Dorothea Lange to document the relocation process in the Pacific Coast area. 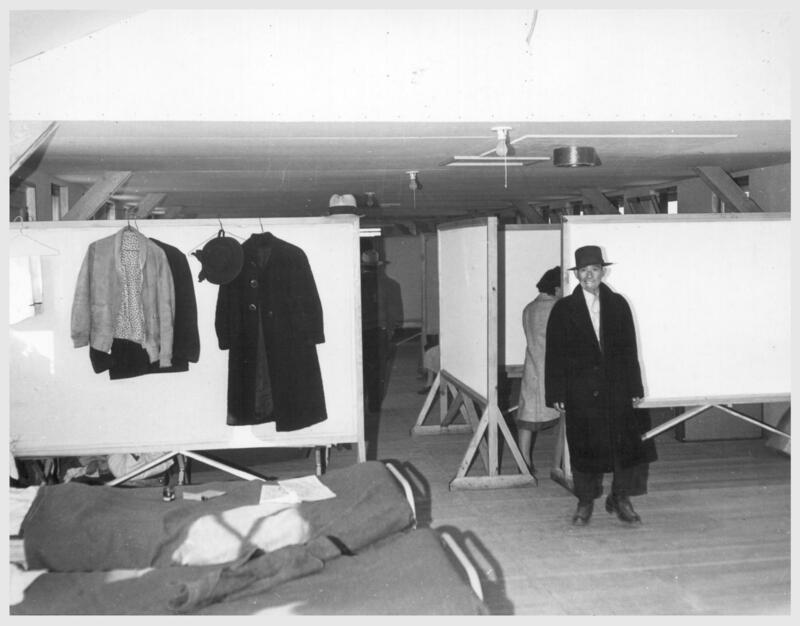 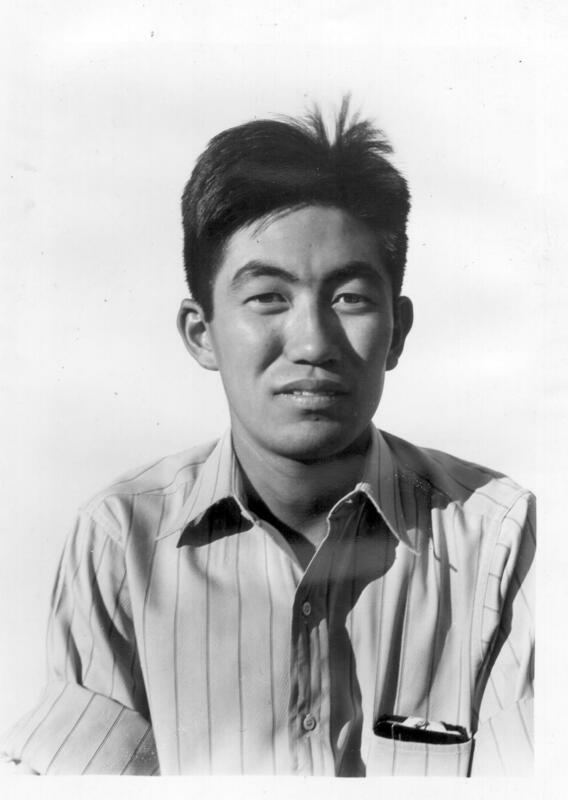 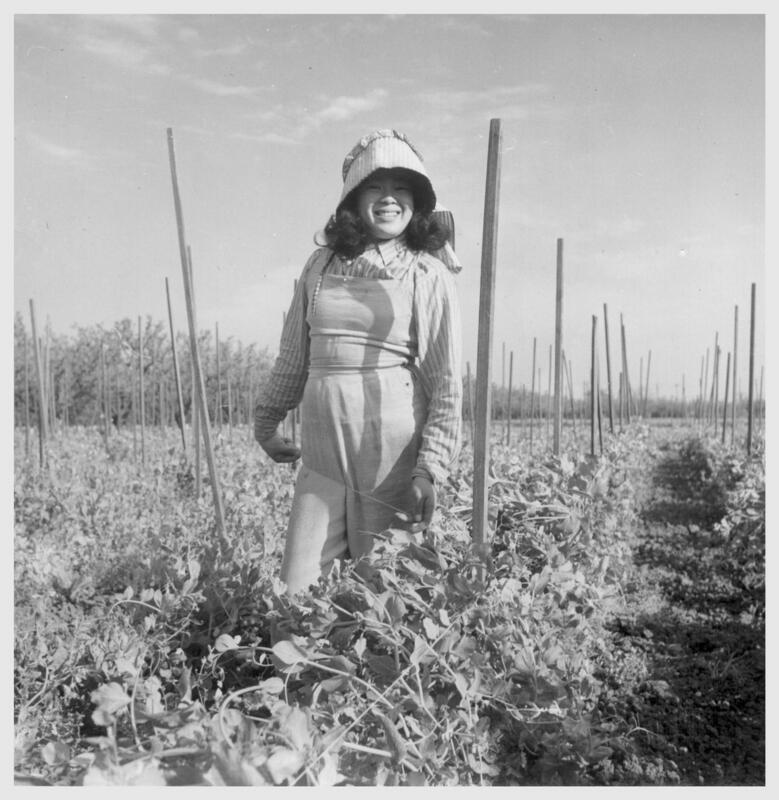 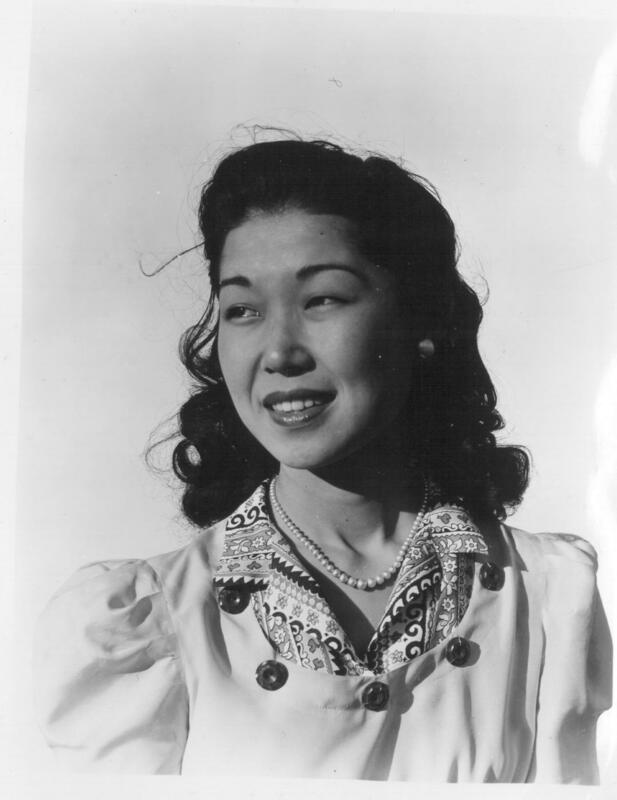 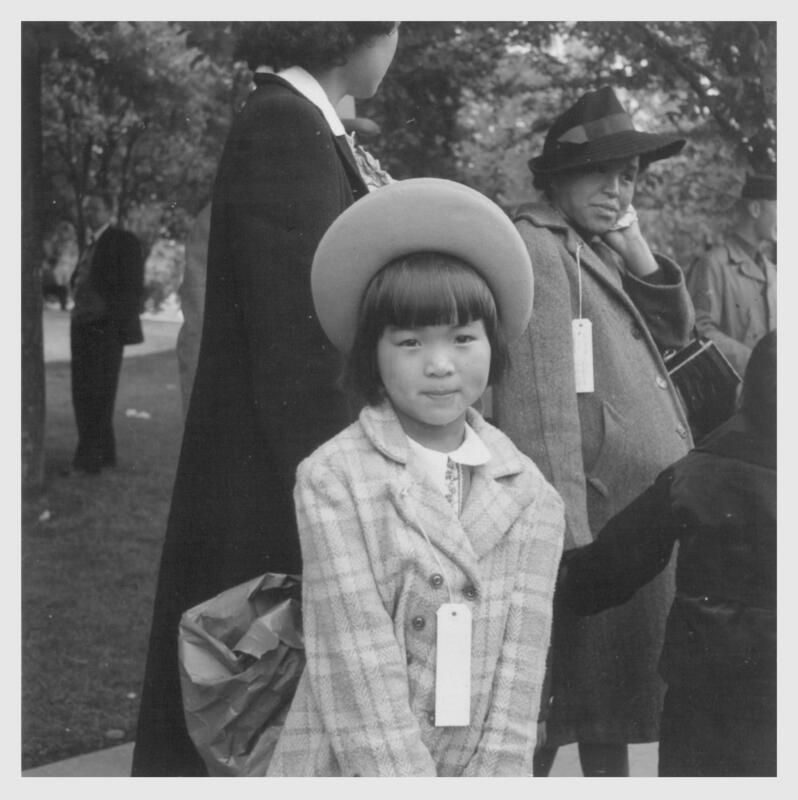 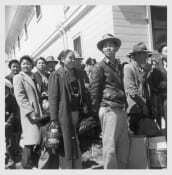 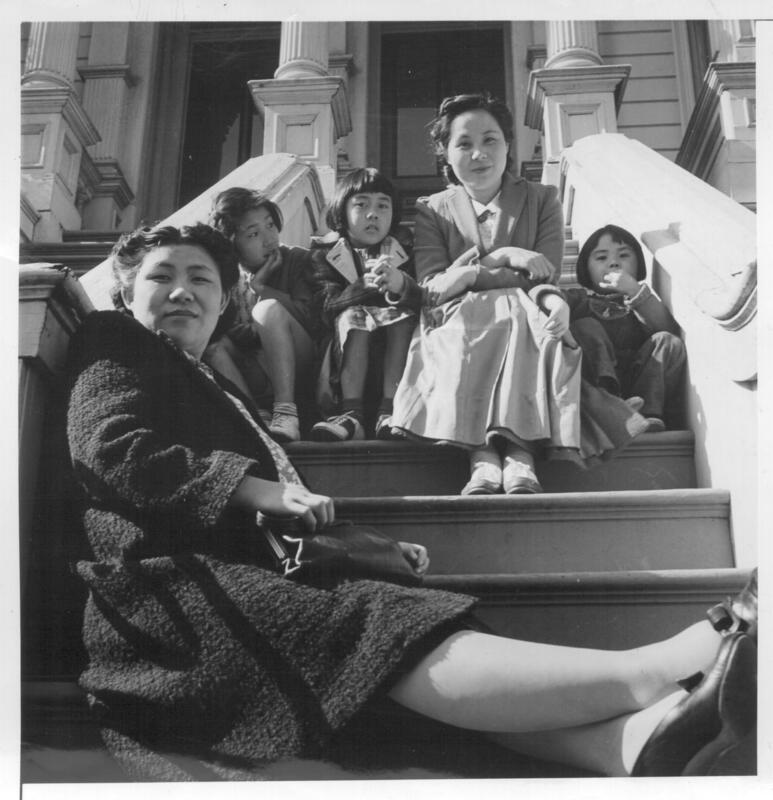 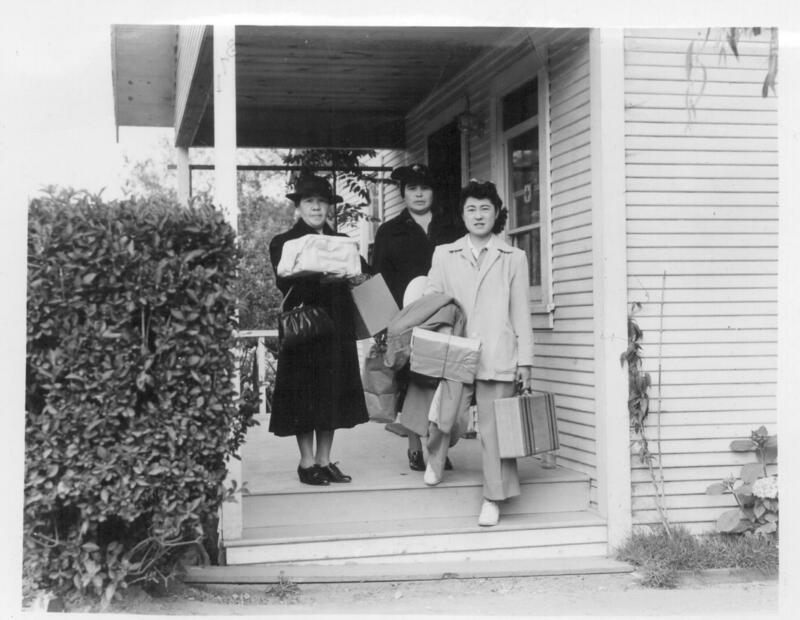 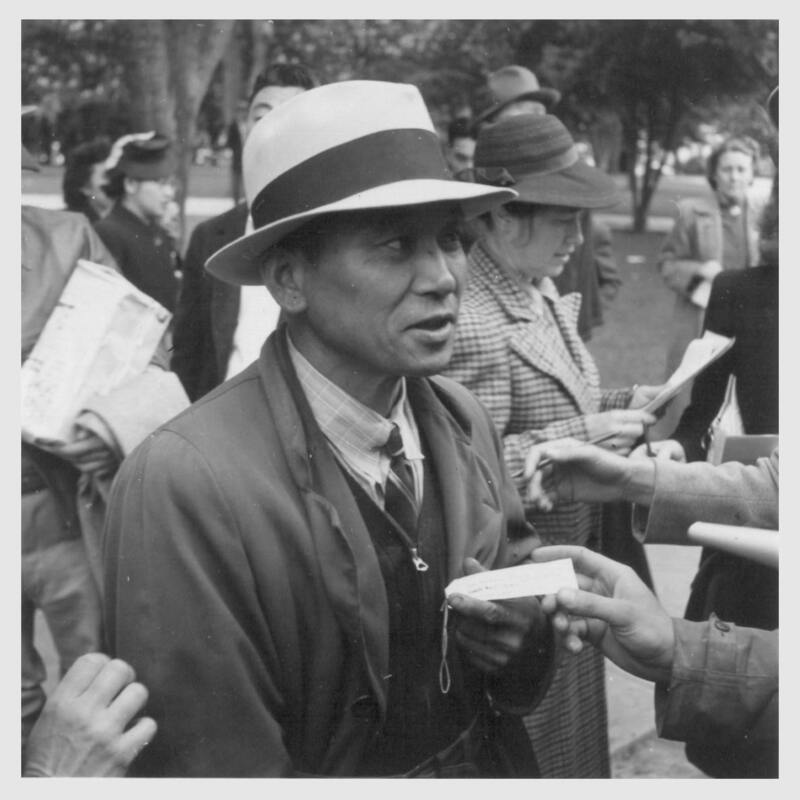 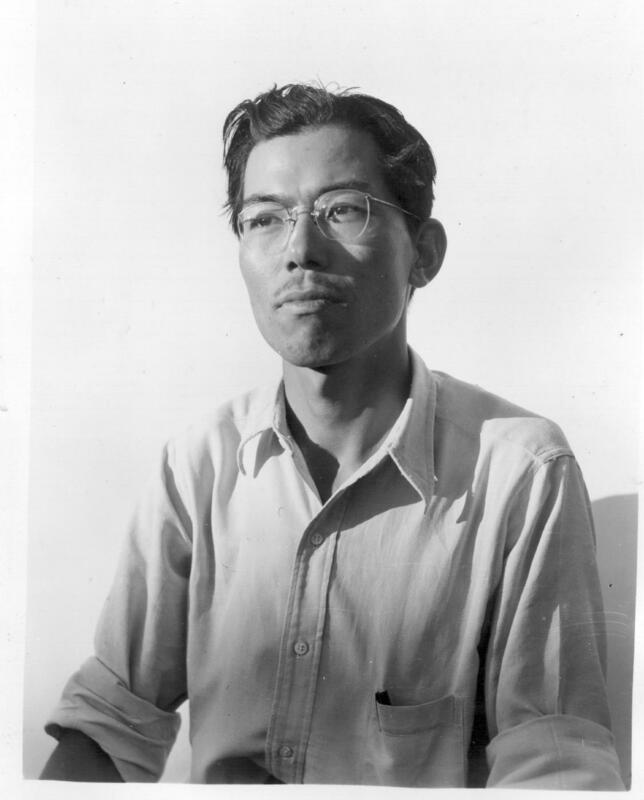 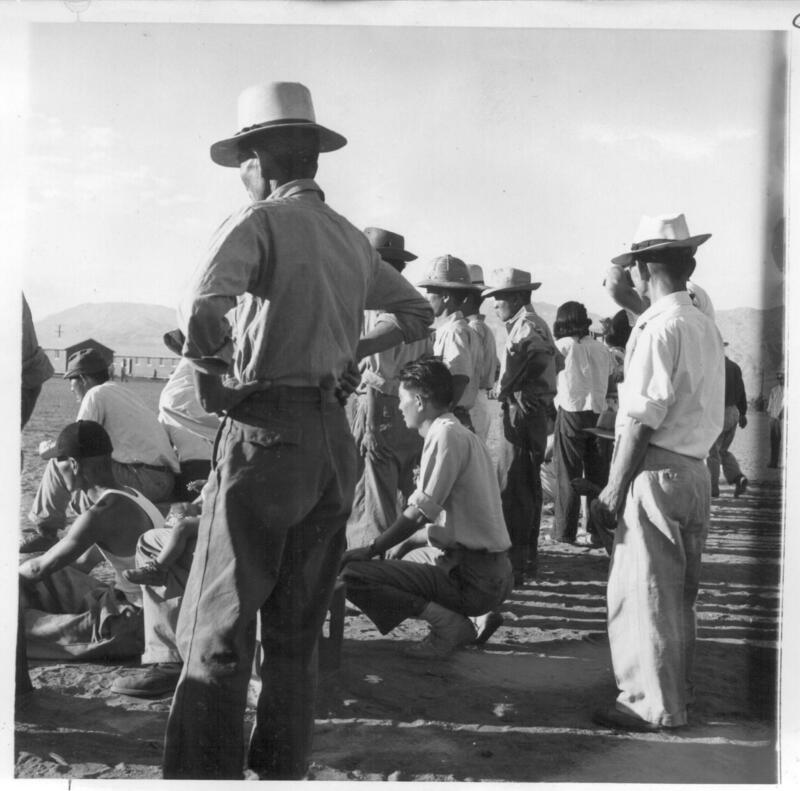 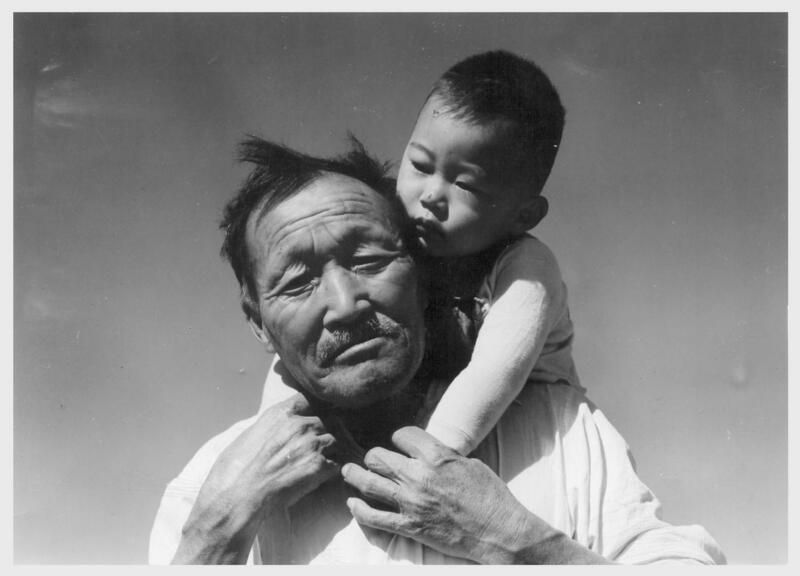 The true impact of Lange’s work was not felt until 1972, when the Whitney Museum incorporated twenty-seven of her photographs into Executive Order 9066, an exhibit about the Japanese internment. YOU MIGHT ALSO LIKE: PHILIP-LORCA DICORCIA: "HUSTLERS"
Posted in Galleries, Masters and tagged California, Dorothea Lange, Gallery Highlights, Japanese Internment, portrait galleries, San Francisco.